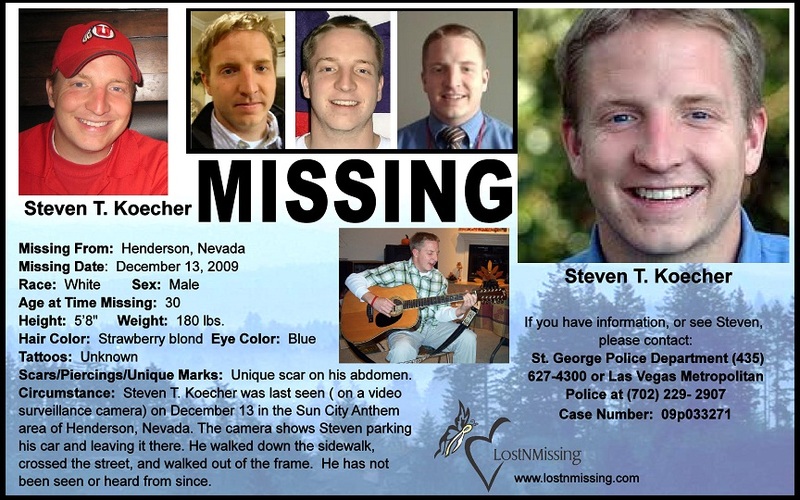 30 year old Steven Koecher was last seen on December 13, 2009. His white Chevy Cavilier was found in a retirement community in Henderson, NV, 135 miles away from his home in St. George, Utah. His last known appearance was caught on a home surveillance video in that same neighborhood. Where did he go? What happened to him? Did he purposefully disappear? Was he murdered? This weeks podcast rec goes to We're All Mad Here so go check it out!